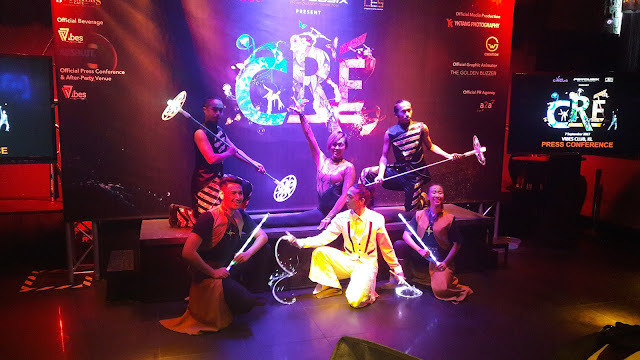 I was at the press conference of Cre Arts Asia yesterday for a sneak preview of Southeast Asia's largest modern circus performance and questions & answers session. 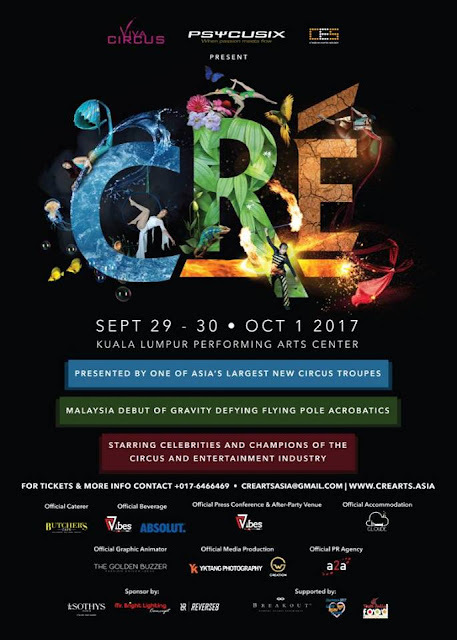 Cre Arts Asia will be performing for the first time in Malaysia at Kuala Lumpur Performing Arts Centre (KLPAC) from 29 September to 1 October 2017. Are you excited about this? My kids and I are extremely excited because we love to watch circus performances! Cre is an Irish word meaning 'earth' and promises spectacular displays of gravity-defying performances and extraordinary feats of the human body, all set within stunningly beautiful backdrops that are a mainstay of contemporary performing arts. Cre started from a group of seven people. 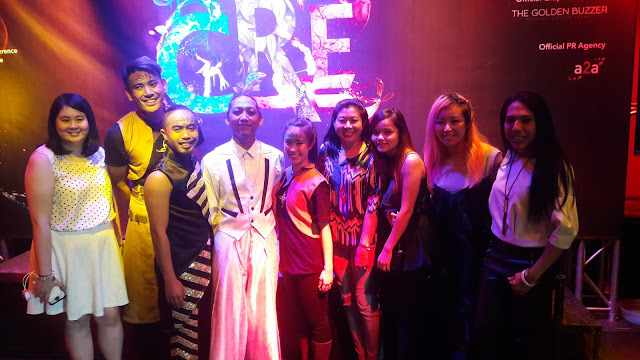 Cre Arts Asia is collaborating with Viva Circus, an award-winning physical arts theatre company and Psycusix, Malaysia's leading modern and contemporary circus performing group. 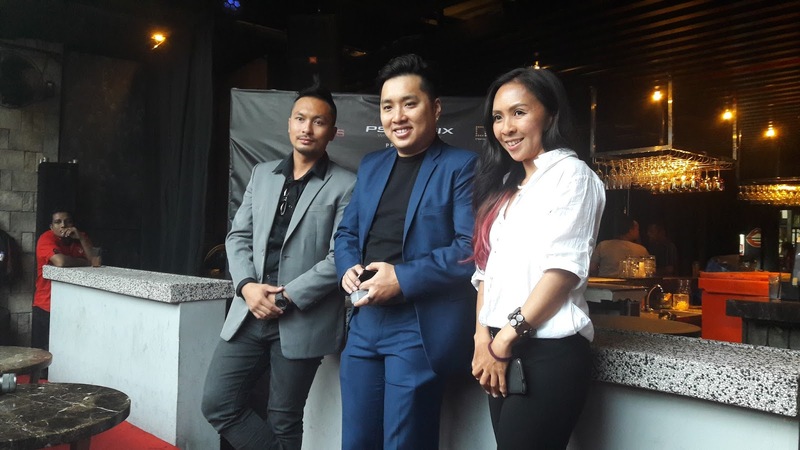 The organiser of Cre, Chris Lo who is also the Event Director of Creative Events Solution Sdn. Bhd said, "The talents that are on display at Cre are truly world-class. 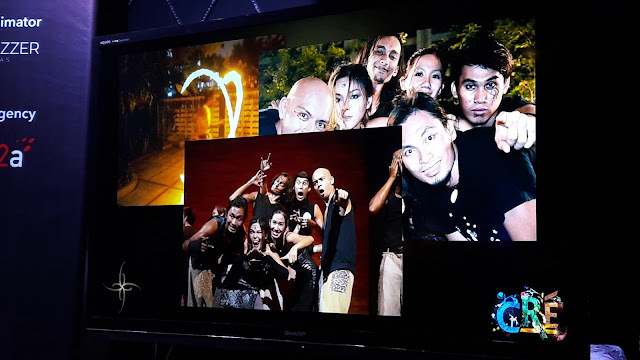 In fact, some of the performers featured have won several international accolades and have performed at renowned venues across the world." After the introduction of Cre, the throwback videos and Cre promotion video, came the best part which is showtime! I really enjoyed the mesmerizing performances. Here is a video I recorded. If your family especially children love to watch these type of performances which is entertaining and meaningful, you can get your tickets HERE. Sign up as member, choose your preferred showtime, show map to select seat no., add to chart and pay by credit card or paypal. Cre Arts Asia will be donating part of the proceeds from ticket sales to the International Medical University Malaysia (IMU) Chariofare, the largest fundraising event at IMU. 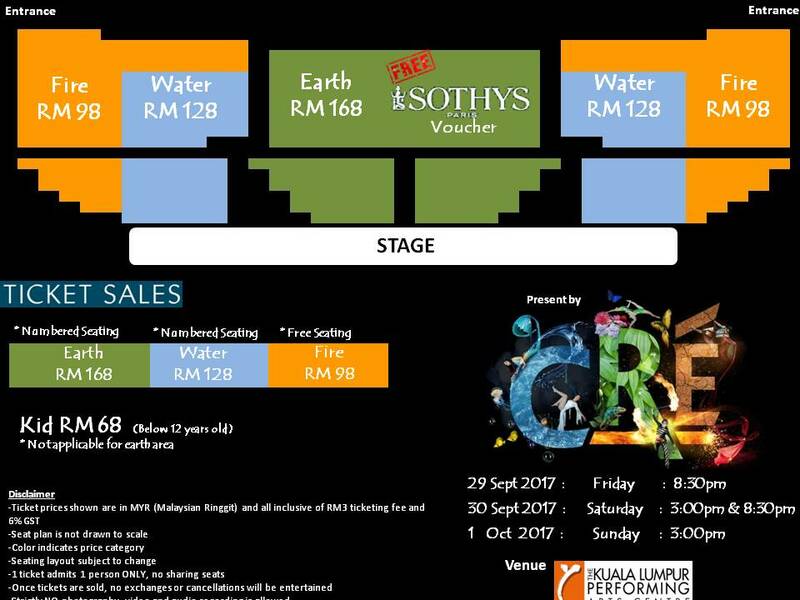 Tickets for Cre are available for RM 98.00 (Fire), RM 128.00 (Water) and RM 168 (Earth). 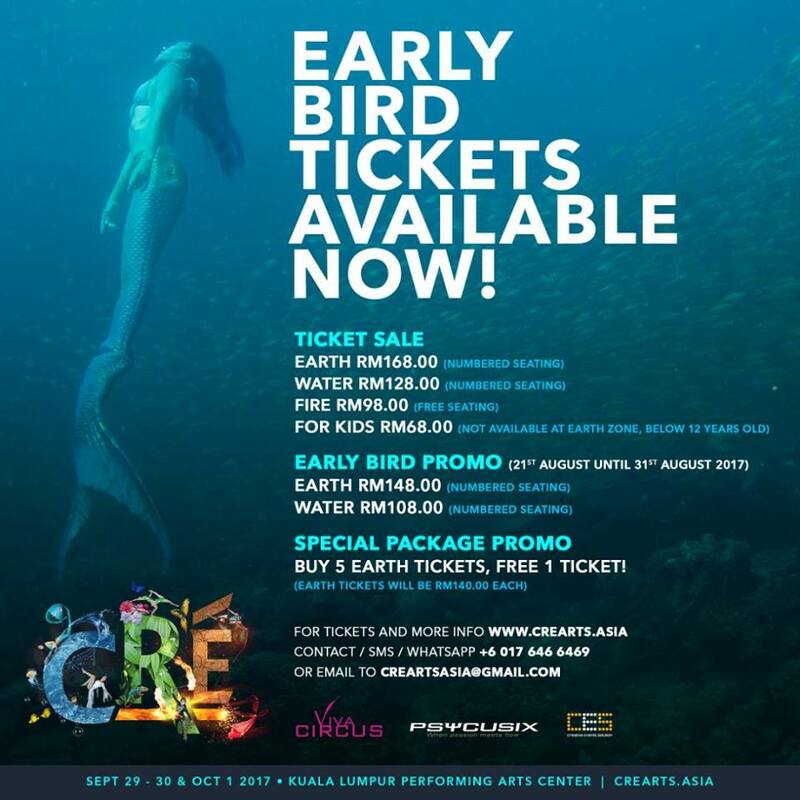 Tickets for kids below 12 years of age are available for RM 68.00 (Water & Earth only). Fire seats are free-seating while Water & Earth seats are numbered. There is good news for the early birds. From now until 14 September 2017, you can enjoy the Early Bird Promotion for only RM 108 (Water) and RM 148 (Earth). A Special Package Promotion is also available where if you purchase five (5) Earth tickets, you are entitled for one (1) additional FREE Earth ticket. My blogger friends and I are very excited and looking forward to the breathtaking contemporary circus performance. This is an experience not to be missed. Get your tickets now. Yes, I am so excited about this. Thanks. Thanks for the infor. It has been a while I did not go for circus show, this one is interesting. It is a great performance. Get your early bird promo tickets. Seeing fire so close is scary. We have never seen a circus performance before. This looks awesome! It will be a good experience to see a live circus performance! Wow! Nice show. Should get the ticket now! Yes, get the early bird ticket price to save money. Nice show and the show price also attractive. Will share with my friends. Awesome ! Definitely will bring my friends to watch the show ! Great! Good to watch with friends. Do check it out. It's an experience not to be missed. Happy to know you will get a ticket.